Cowboys or Saints; Who To Hate Most? The NFL kicks off the 2018 season tonight in Philadelphia, and the Panthers play the Cowboys Sunday afternoon in Charlotte. I really, really don’t like the Cowboys, but, honestly, it’s been so long since they were relevant that they are no longer my most-hated team. That “honor” goes to the Saints. How I came to dislike those teams so intensely is the topic for today’s blog post. On October 3rd, 1988, I sat down in the living room of The Little House on the Highway to watch Monday Night Football. 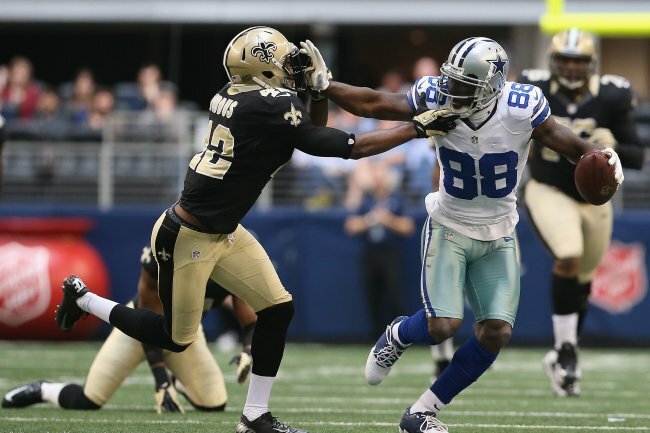 The game was between the Dallas Cowboys and the New Orleans Saints. In previous years, that wouldn’t have been much of a matchup. The Cowboys had been good since the late 60’s, while the Saints had been horrible since they came into existence in 1967. The Saints had, in fact, posted their first winning season in franchise history the year before, and that was the weird strike-shortened, replacement player season. Still, there was a sense of a “changing of the guard” in the NFL that year and many believed that the Saints were improving while the Cowboys were on the decline. To an extent, this would prove true as the Saints, behind USFL refugee QB Bobby Hebert, would win the game 17-14 and go on to a 10-6 season, narrowly missing the playoffs, while the Cowboys would slide to 3-13 that year. It would be Tom Landry’s last Monday night game. At the time that game was played, I sort of liked the Cowboys and was ambivalent toward the Saints. Growing up in a household of Steelers haters, the Cowboys were the anti-Steelers and the only team that consistently gave them resistance during the latter part of the 70s. Roger Staubach was a stand-up guy and Tom Landry was the classy gentleman under the fedora. The Saints had been a non-entity for so long that, lacking any particular reason to dislike them, you sort of rooted for them as sad-sack underdogs. Neither the Saints nor the Cowboys did much of note to finish out the 80s, but things would change dramatically as the new decade started. In Dallas, a complete jerk bought the team, fired Landry, hired an equally big jerk as coach and then swindled the Minnesota Vikings out of numerous draft picks which were almost immediately turned into Hall of Famers. Overnight, they went from “America’s Team” to something more akin to the Yankees; you loved ‘em or you hated ‘em. I hated them. The Saints took a little while longer to make my poop list. When the Panthers entered the league in 1995 we were placed in the same division as the Saints and the Falcons, but at the time the Falcons were by far the better team and served as Carolina's primary geographic rival. The first Panthers game I ever attended was against the Saints, a Panthers win at Death Valley in the expansion season. For the first few years, the Saints were essentially good for an easy win or two, making it hard to hate them. But then... Katrina. On August 23, 2005, Hurricane Katrina slammed into the Gulf Coast, inundating New Orleans. It was a tragedy of epic proportions. The Panthers were scheduled to open the 2005 season with a game in Charlotte against the Saints. Despite having gone 7-9 in 2004 due to some major injuries, the Panthers were considered playoff contenders and were heavy favorites against the Saints. With the game coming so soon after the devastation, however, the Saints had become something of “media darlings.” The Panthers offered free tickets to many New Orleans residents who had been displaced to Charlotte by the storm. I was at the game and seated near some of those ticket recipients and it’s then that I got my first taste of what Saints fandom was really like. When the Saints were introduced, the Panthers crowd skipped the usual “rough” welcome and instead clapped politely. Conversely, the Saints fans talked trash, and nasty trash at that, incessantly for the entire game. The Saints went on to a surprising 23-20 win, which was hailed by the national media as the greatest thing ever, because, well, that's what the media does. The Panthers went on to a successful 11-5 season and made it all the way to the NFC Championship game, but the ugliness of those Saints fans always stuck with me. Then, a few years later, the Saints were implicated in “bountygate,” a scheme in which New Orleans coaches paid players for hits on certain opposing players which resulted in injury. One of those select players was Panthers QB Cam Newton, and that pretty much solidified their place as the team I hate most.